In the not--to--dystopian future, the ghettos of Detroit have gotten so crime--ridden, they are walled off from the rest of the city. 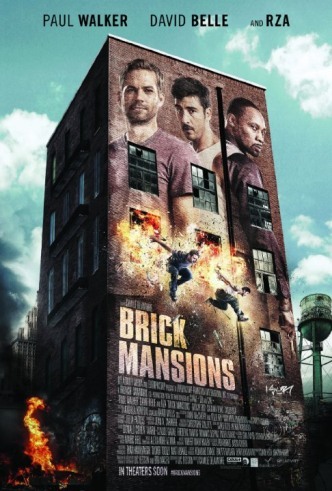 Within these “brick mansions,” criminal elements battle it out on their own, with at least one saintly resident (David Belle) trying to do some good. Enter an undercover cop (Paul Walker, in his last role), tasked with entering the brick mansions and tracking down a neutron bomb stolen by the slum’s chief drug lord (RZA). Walker and Belle’s characters team up to clean up the neighborhood, find the bomb and instigate a lot of action sequences. 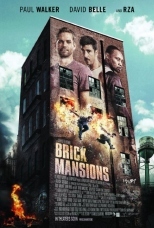 About 80 words are trimmed in the ClearPlayed version of Brick Mansions, in addition to some scenes of sensuality, and some harsh violent scenes. Most of the action in Brick Mansions is family--friendly in a parkour, benign sort of way. There is lots of gunplay, but we typically don’t see the bloody aftermath. Still, the movie’s morality is a bit skewed, so you might want to think twice before showing it to younger viewers. Much of Brick Mansions is simple--minded hooey, with an abundance of clichés and conventions. 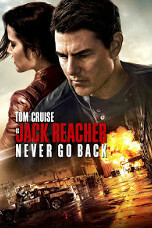 But the likeability of its lead characters and some of the fun chase scenes elevate it to a nicely watchable actioner. 58% (385) have seen it. 41% (276) haven't seen it.